I read the Alchemist and I was completely moved as a person, as a human, who was also on a quest to learn my own way in life. I was struck by the raw serendipity of the main character, and the almost coincidental / too wild to be real events that continually happened to the main character. The Devil and Miss Prym was no different. When we are first introduced to the book, we learn about an old lady, old Berta, who sits on her front porch waiting for the Devil to arrive. She knows this because she’s talking with her dead husband who shows her the answers, and coincidentally the future. Old Berta is not Miss Prym. Miss Prym is the young woman, the last young person, living in the small and aging town of Viscos, a community isolated from the rest of the modern world and extremely content with this fact. An honest village working hard for their money. Miss Prym is the young lady sitting by the river looking to accidentally bump into the new stranger in town – yes, who’s the Devil. As with all Coelho books, this book ends with a clear message or lesson about the way of human life. A message. Gospel to live by. It was a nice break from the more serious non-fiction books I’ve been reading as of late. Have you ever read The Devil and Miss Prym ? How do you find Coelho books? 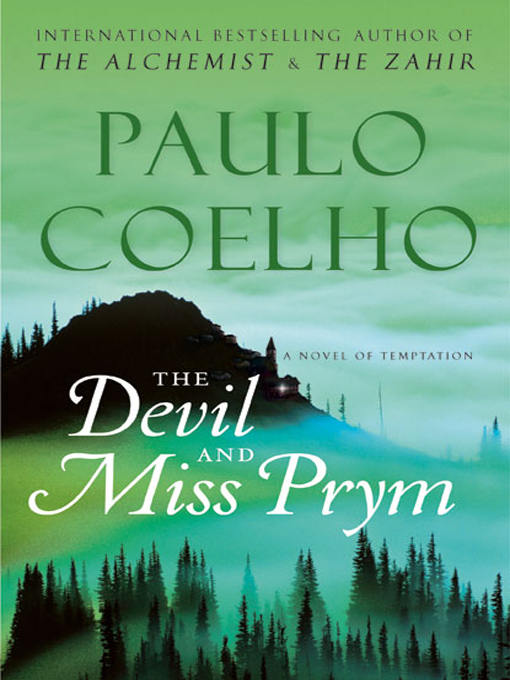 This entry was posted in Books and FIlms and tagged book, coelho, devil, miss prym, novel, paulo, review on May 9, 2014 by Mind Soul.